When We Wake, a fictional novel written by Karen Healey, is a compelling story about an ordinary sixteen-year-old girl named Tegan Oglietti living in an Australian dystopia in 2027. Like every other girl of her time, Tegan is falling in love for the first time, is obsessed with a band, and has hobbies: like protesting the wrongs of the world. Everything seemed to be going excellent until she suddenly dies, and wakes up 100 years later locked up in a government facility, clueless. When Tegan realizes the future isn’t what she hoped it would be, and when shocking secrets turn up, Tegan has to make a decision that will determine the world’s destiny. Karen Healey’s When We Wake mesmerized me with its enthralling setting. The way the futuristic world is set up is superb. The story is set in Melbourne, Australia in 2127. The small continent of Australia has become the superpower of the world, it is now the new land of sources and an open minded continent in terms of gender and sexual orientation. But up to that point everything else is horrible, the Earth’s environment is severely damaged, with oceans rising and extreme weather patterns. All the electricity is powered by wind energy, solar energy, and hydroelectric energy. But third world countries still use fossil fuel because they can’t afford the modern way. Meat has become frowned upon and almost everyone is a vegetarian because nobody can raise animals due to very little water. The new future that Healey has created isn’t the same regular dystopian you see in the other books. She has created a future where there is a corrupt environment not just a horrible community. Overall, I think When We Wake was very well written. The setting was brilliant and there was many plot twists that always kept me guessing. Even after finishing the book, I was still thinking about how horrible the Earth’s environment had become in this novel. The world she has created is wonderful and the details are well written. 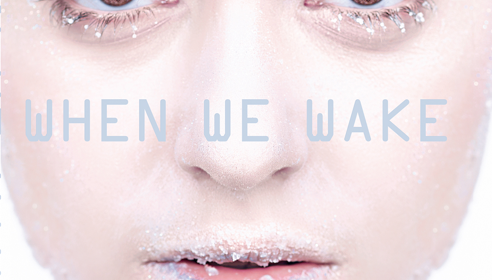 When We Wake is a brilliant dystopian that challenges the norm of dystopian novels.